There are multiple stories circulating about the location of the Yacht and Brokerage Show next year due to the fact that the National Marine Manufacturer's Association is moving their show, the "Miami International Boat Show", from the convention center to Virginia Key on Key Biscayne. I want to assure you that the Yacht & Brokerage Show will remain on Collins Avenue in Miami Beach for 2016 and beyond and will not be affected by the National Marine Manufacturer's Association's show as they are completely different shows that happen to occur on the same dates. Show Management is also looking to expand and restructure the space on Collins Avenue in 2016 to accommodate additional brokerage boats and manufacturer displays. Although very preliminary at this time, we encourage you to contact us to discuss the possibilities. Due to growing demand to display boats larger than 150 feet, Show Management will open an additional location for the 2016 Yacht & Brokerage Show at the new marina project on Watson Island, called Island Gardens Deep Harbour. 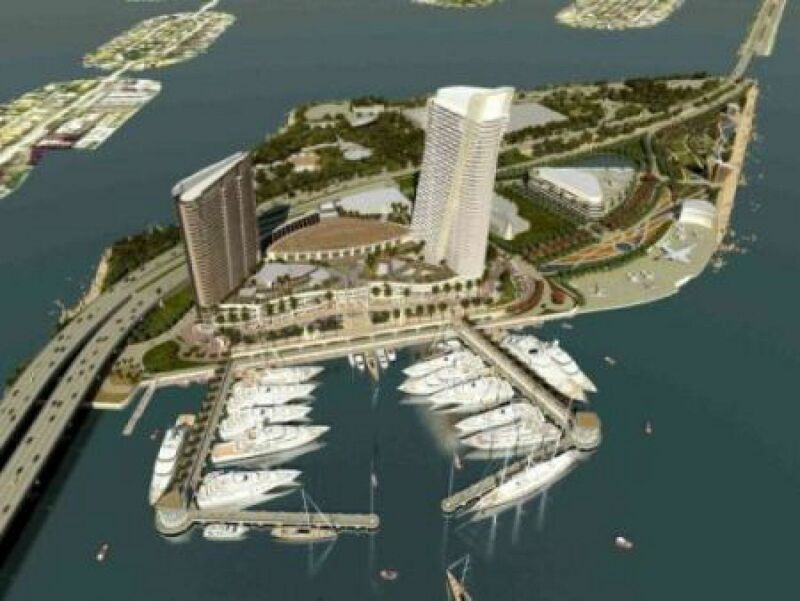 The new marina is scheduled to complete in the 4th quarter of 2015 and will be able to accommodate an average of 50 yachts from 80 to 550 feet in length, the largest collection of slips for yachts of this size in North America.